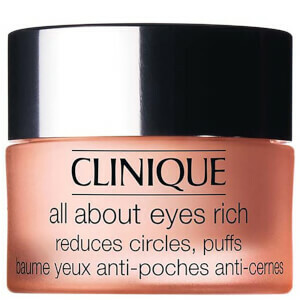 Clinique All About Eyes™ is a lightweight eye cream developed to deliver intense hydration and soothe the delicate eye area. Suitable for all skin types, its cream-gel formula reduces puffiness, dark circles and fine lines to reveal revitalised, radiant eyes. 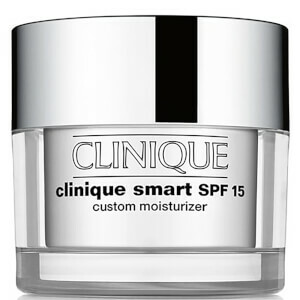 Melts effortlessly onto skin and works effectively as a primer to hold eye make-up in place. Use morning and night. With ring finger, apply sparingly to entire eye area using a gentle patting motion.